As a Church we are now in the third year of a five year plan to raise the necessary finance to fulfil our vision of redeveloping our Church so that it remains a welcoming, flexible and fit for purpose place of worship and community fellowship. 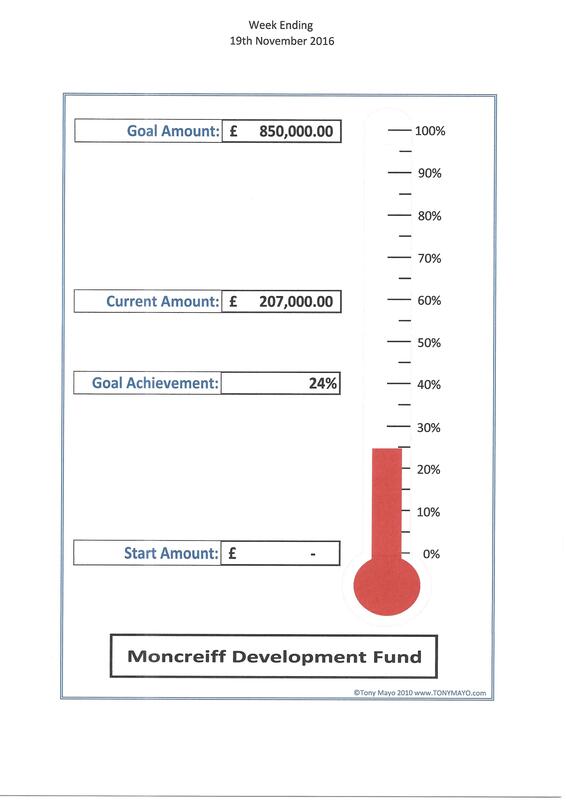 As you’re aware the Moncreiff Development Fund was set up to manage the monies raised for the future development of our Church buildings and as of February 2019, out of £260,000 pledged or donated we have collected a magnificent sum of £162,000. Since starting on the project, we have become aware of a number of priority issues which will have to be addressed as part of the redevelopment project . These include the installation of new boilers and heating system, upgrading the electrics, major repairs to flat roofs and providing disabled access. While we remain fully committed to our vision for Moncreiff , following close examination and scrutiny of our initial Architect Plans, our focus for the project has now changed from a rebuild to a remodelling of the Sanctuary. This decision has been progressed following extensive consultation with The Trustees of the Church of Scotland and our architect Raymond Angus. The remodelled Sanctuary would include direct disabled access, front office, toilets and café area as well as creating a more flexible use of the Church and would also address the ongoing major issues previously outlined. The cost of the revised option is between £600,000 and £800,000. The new plans were presented to the congregation in January 2019 during Sunday Worship and following discussion and explanation, our refocused project was accepted and welcomed by those attending worship that morning. We are keen to progress our project to the next stage of development and following the AGM on the 17th March , we are intending to apply for planning permission based on the revised option. We would like to express our gratitude to everyone who has contributed to the Moncreiff Development Fund and look forward to your continued support in what will be an exciting time in the life of our Church . Viz: Andy Gray, Elaine Barrowman, Bill McDougall, Brenda McCrae, Fiona Lamont, Ian Bremner. They can be reached by email at: development_group@moncreiffparishchurch.co.uk.